Short term, vacation rentable condos have the flexibility which can allow their owners to leave them in the vacation rental pool whenever the owners are away. This option may provide additional income to defer some of the expenses of ownership. Wailea Beach Villas is the centerpiece project in Wailea, but there are many beautiful condos from which to choose here. 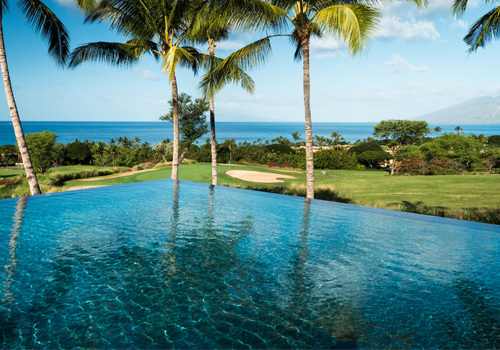 Hoolei, Wailea Elua, Wailea Point are among the many excellent choices, and a little further south in Makena, you have possibilities like Makena Surf offering amazing views in an oceanfront/beachfront community.